Happy June everyone! This Free Desktop Wallpaper is a great way to say goodbye to last month and celebrate the start of a new month (and a new season, in case you haven't felt how cold it is - hello winter!). June definitely marks a different time of year..things start looking green again (for those of us in Australia) and along with that bit of frost in the air comes the welcoming of scarves, warm coffee shops and snuggling under a blanket with a movie. 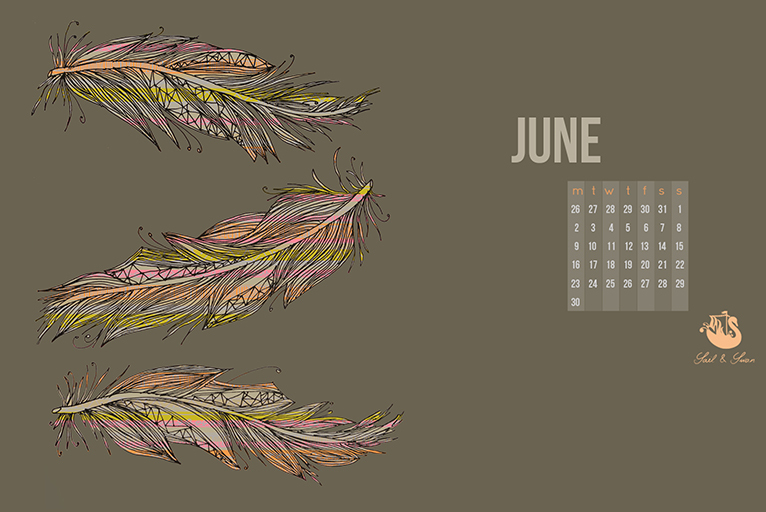 Whatever June means for you I hope you will be able to enjoy it with this desktop background and hopefully stay organized at the same time with with its handy calendar on your screen while you work.